I've been browsing the site for a while now as it is the best resource for all things broadand. I thought I really should join, so here I am. 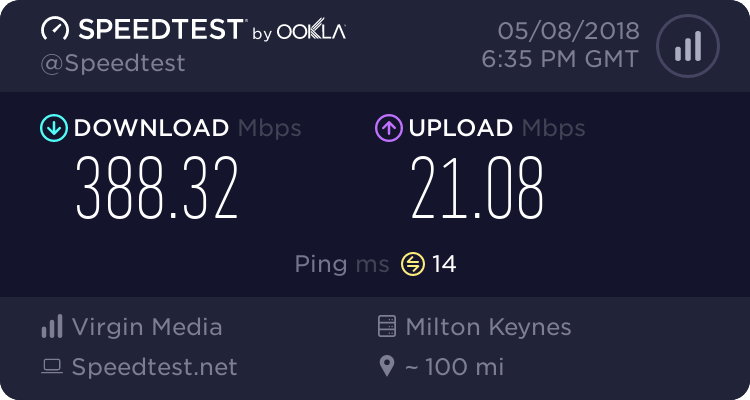 I'm with BT connected to an ECI cabinet (boo) but I am getting the full 80/20 as I'm close to it (yay). Just bought a Zyxel VMG8924-10A since using a HH5A since 2015. The HH5A has been rock solid but I wanted something to play with, which the HH5A doesn't really allow, also the 2 week reboot was starting to hack me off. Got DSLStats working too, and was hoping to use MDWS until I see it was turned off in March this year. Ho hum. I admit some of the stuff here really is a bit techie for me, but I do enjoy reading the posts by you clever people, so thanks for all that and thanks for having me. Welcome to the Kitz forum, pxr5. One doesn't need to be cleaver nor feline to be a member. I feel more at home already as we have 2 cats. Maybe I'll change my avatar to a cat picture, or is that too obvious lol. Thanks for the nice welcomes. I have five cats plus Tom who has decided to move in to the garage or spare room if things are bad, one old greyhound Ciarán, two donkeys Gilbert and George and five hens. Unfortunately we seem to have zero ducks at the moment.